While Fort Lauderdale has its own moments of bliss with sandy beaches, warm weather, and beautiful sunsets, sometimes you need an even larger scale getaway. If you’re planning on an overseas move, whether it’s for a spring-summer home in Italy or a more permanent residence in Tokyo for your career, you’ll need the help of experienced and qualified international movers to help you navigate the complex process. When you work with A-1 Fargo Van and Storage for your Fort Lauderdale international move, you get benefits such as a single point of contact, policy and move management, pre-move information, country information, and customs clearance. These invaluable services address common questions such as “What shots do I need?” “What items can I bring/not bring into the country?” and more. With updating your Passport/Visa information, setting up your housing situation, and learning about the climate, culture, and foods of a different country—you’ll be hard pressed for time. 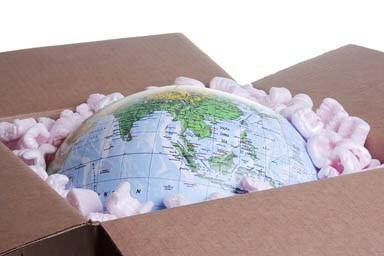 As experienced international movers, we’ll handle all of your packing, logistics, delivery, storage, and customs for you! If you need efficient, seamless, and skilled international moving services from a respected company, look no further than A-1 Fargo Van & Storage. We’ll work alongside you to make your move as streamlined as possible. Call us or fill out our online form today to get started!